The Cricket Club was founded on March 9, 1922, after a meeting held in the Institute under the chairmanship of Mr. H. E. Whaling. The subscription was fixed at 5 shillings and each member had to pay his own expenses. 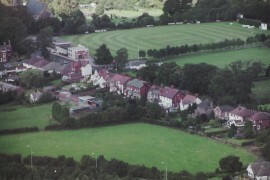 In 1924 after playing their first few seasons on the football ground, which is the cricket pitch today, the Recreation Committee bought the field near the Vicarage Drive and Mr. Albert (Cag) Davies was appointed groundsman a position which earned him the princely sum of eight shillings a week. 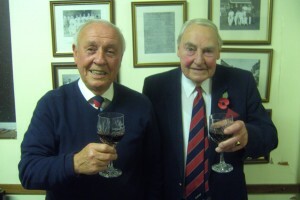 This was also the year when a Cricket Club Supper became an annual event. In 1928 the club lost some very good players when one of the areas largest employers the Lilleshall Company closed its New Yard Works. Stalwart efforts by members kept club running during the 1939-45 war with the 9th Battalion R.A.O.C at Donnington giving valuable support during this period. 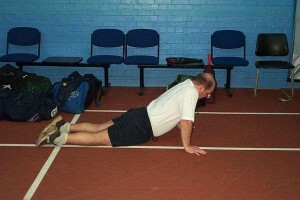 After the war the members resolved to make St Georges into one of the leading clubs in Shropshire. As part of this aim, a concrete practice wicket with a matting cover was laid allowing regular practice on an accurate wicket for the first time. In 1948 the Club entered a national cricket competition run by the News Chronicle, and several notable individual performances enabled the Club to collect the second prize of £50 worth of equipment. Also 1948 saw the construction of the new pavilion, the official opening was performed by the Earl Granville, who was then Governor of Northern Ireland. 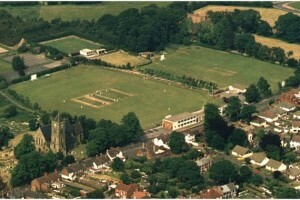 Since the early days many notable games have been played at St Georges. In 1949 Wolverhampton Wanderers FC won the FA Cup and the trophy was on view when their cricket team visited St Georges in that summer. Proceeds from that match enabled power to be provided into the new pavilion and a new scoreboard was erected along with improvements to the wicket and outfield allowing St Georges to offer the highest quality facilities to its members. In the 1950’s the club actively sought to include the younger fitter players into the team. 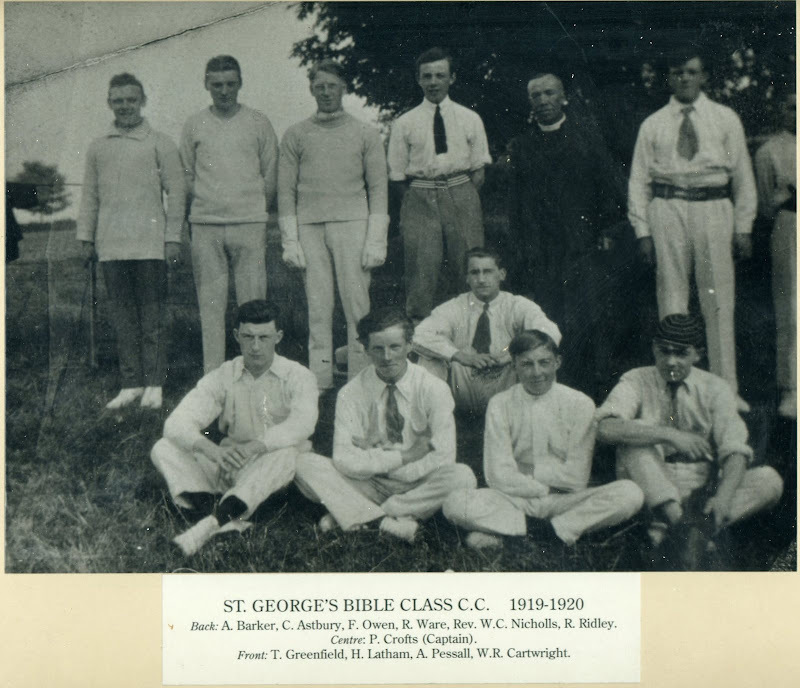 The policy resulted in 6 under-18 players gaining 1st XI places a major factor in helping St. Georges become arguably the most powerful side in the County of Shropshire. 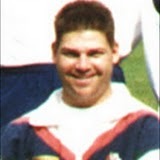 During this period the Club had five players representing Shropshire at County level, among these were three notable names, Doug Parry, Don Lowe and Peter Bradley. In 1964 the new clubhouse was built and the Cricket Club along with other affiliated clubs combined into the ‘ St. Georges Sports & Social Club ‘ and at the same time the cricket and football pitches swapped places. 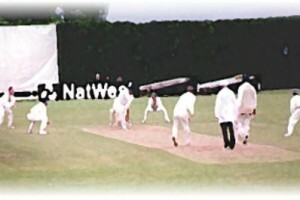 NatWest games of which the most memorable was Shropshire’s victory over Yorkshire on 4th July 1984. On the field the eighties saw a downturn in playing fortunes, this resulted in major changes for the 1990’s and saw the emergence of the appointment of a semi professional player. A number of factors contributed bringing this to fruition earlier than perhaps it would have done naturally. The slump of the eighties and the indignity of seeing St. Georges at the foot of the Shropshire League, division one were factors, but perhaps the most significant single factor was the increasing possibility that relegation would be introduced. Through the 1990’s the Club formally developed its Junior Cricket section, which we see as the single most important factor for the future of the Club. Led initially by stalwarts such as Ron Davy, subsequently supported by Ray Tilt and Mike Waldron, the Junior Section has now grown to have its own Junior Cricket Committee and the Club fields 6 junior age sides. 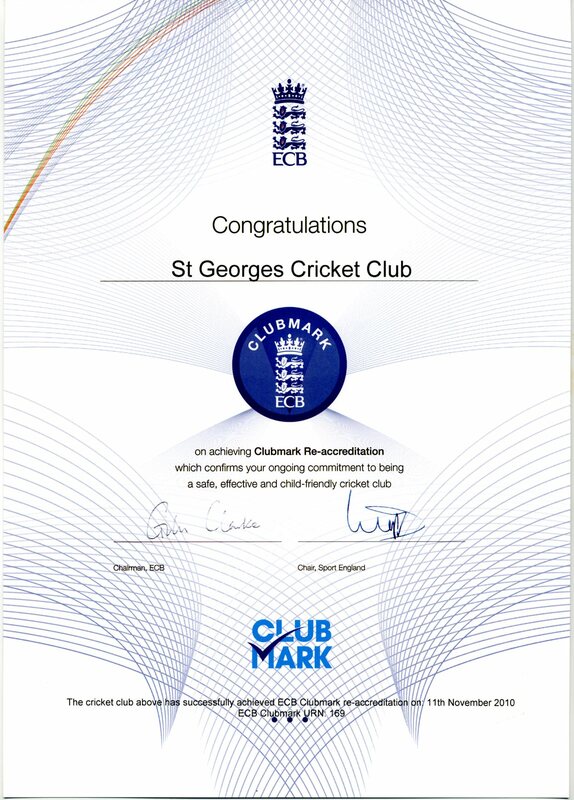 In 2004 the Club was awarded Clubmark status by the ECB in recognition of standards achieved and the status was re-approved in 2007 and again in 2010. Several players have come through the junior ranks and represented their respective County Age Group in representative matches. 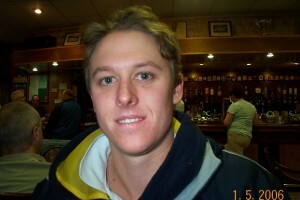 Some have gone on to represent the County at Minor Counties level, including Matthew Tilt who in 2010 will be the County Vice Captain and Stephen Taylor. Awarding of Clubmark status has allowed the Club access to ECB Grants and one major project completed in 2006 was the introduction of a new drainage system on both fields. 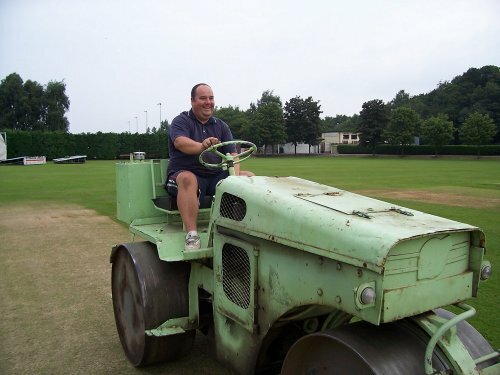 This has enabled the creation of a permanent square on the smaller field where football was most recently played, allowing the Club to now regularly field 4 Senior Teams playing in League Cricket on a Saturday. 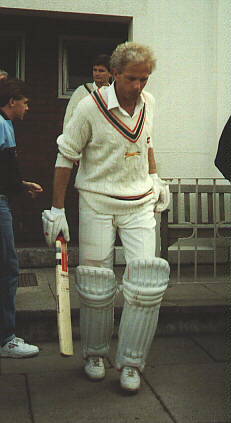 As mentioned earlier the 1990’s saw the introduction of an overseas player at St Georges for the first time. This led to success on the field and culminated, with the development of the National Pyramid system in St Georges winning the Shropshire League in 1999 and being promoted into the Birmingham League, one of the strongest Leagues in the country, for the 2000 season. Initially the Club struggled to compete at this level and was relegated back to the Shropshire League at the end of the 2001 season. 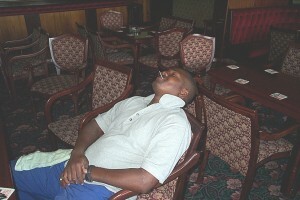 However St Georges regained promotion to the Birmingham League as champions of the Shropshire League in 2003. 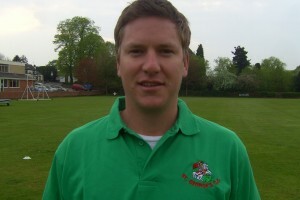 Under the Captaincy of Matthew Tilt the 1st X1 gained promotion as Champions to Division 2 of the Birmingham League in 2007. 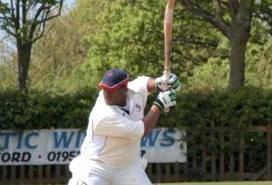 In this period St Georges has been fortunate to host a number of overseas players who have contributed to both the success and the community that is St Georges Cricket Club. They include Matt Kelton (Australia), Mike Brennan (Australia), Matt Lunn (Australia) and Hitshu Bachani (India). 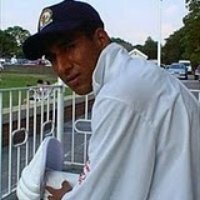 Hitshu in his first of three seasons with the club in 2007 took 87 wickets at an average of 6.71, a Birmingham League record. 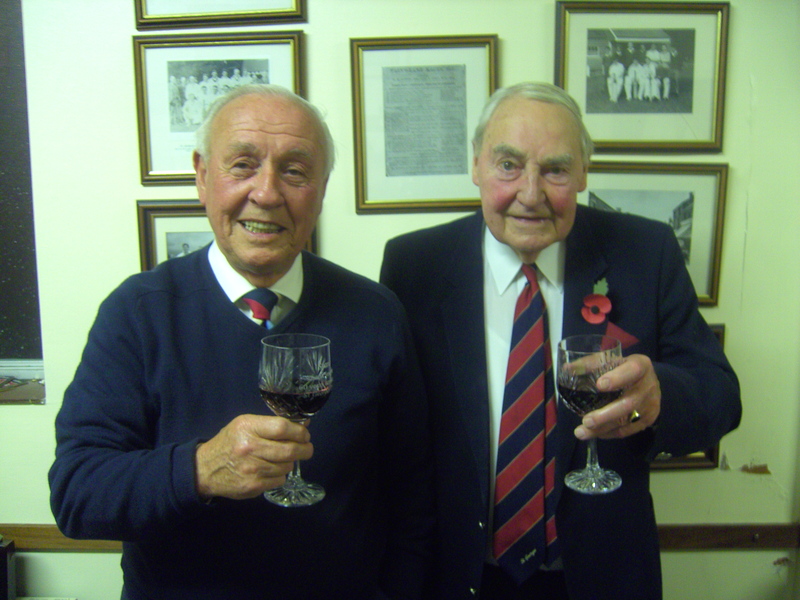 Development at St Georges over the last 20 years has been overseen by two stalwarts of the Club, Eric Lomas and Stan Higgins. Eric was initially our Chairman through this period and now is the Club’s President. Stan Higgins succeeded Eric as Chairman, a role he took for seven years before standing down himself at the end of the 2009 season. 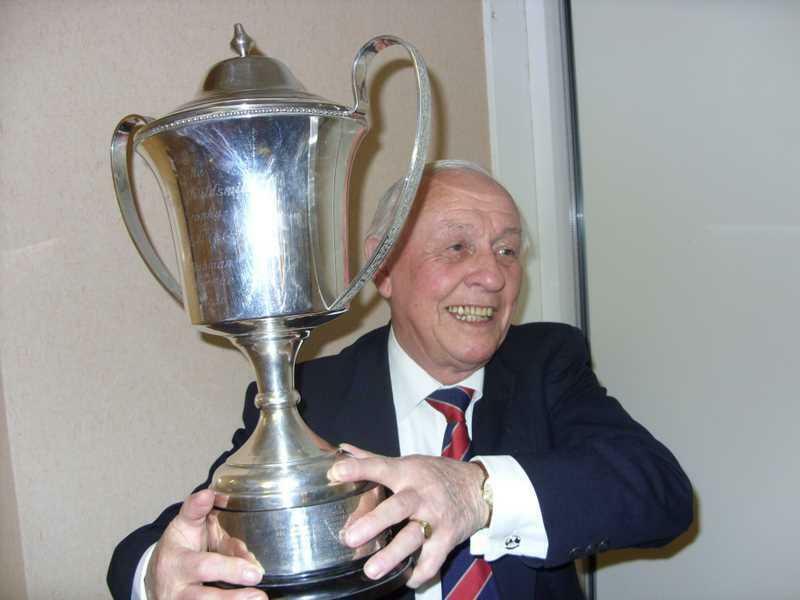 Stan remains an active committee member and was recently recognised through the BBC television “Unsung Sporting Hero” award for over 60 years of service to St Georges Cricket Club. Sadly, Eric died in May 2011 at the age of 87. The Sportsman’s Evenings held, where famous cricketers and footballers have supported our fundraising, including, Sir Garfield Sobers, Alec Stewart, Geoff Miller, Sir Richard Hadlee, Gordon Banks, Nobby Stiles and Merv Hughes. Stan Higgins, Carl Ward and Colin Thomas have masterminded the success of these events. The Club’s History page was last updated on 19th July 2011.